Optometry Australia welcomes world-first 24-hour sleep and activity guidelines launched yesterday by Health Minister Greg Hunt. The national guidelines warn parents not to use television or other digital screens as a babysitter for babies and toddlers, with new advice that children under two should have no screen time. They also recommend parents of pre-schoolers aged five and under limit their screen use to less than an hour a day, or risk harming their child's cognitive, physical and social development. Optometry Australia's resident optometrist and national spokesperson Luke Arundel applauds the guidelines as a positive step towards reducing the risk of myopia – or short-sightedness – one of the fastest growing epidemics in the world. 'We have long campaigned for parents to consider the balance between -screen time' versus -green time' as part of safeguarding our children's vision. 'Australian research predicts an imminent global epidemic of myopia, or short-sightedness, which already affects about 30 per cent of the world's population," Mr Arundel said. 'That figure is expected to rise to 50 per cent by 2050 and researchers believe this is linked to the amount of time children are spending indoors which, in our digital age, very often means more time on screens. 'The guidelines announced yesterday not only support our concerns which relate primarily to eye health, but suggest too much screen time can negatively impact babies and children in a myriad of ways." The new guidelines are the result of Australian and Canadian research led by University of Wollongong early childhood expert Tony Okely. Mr Okely said screen time while sitting could counteract the health benefits of physical activity, leading to language delays, reduced attention, lower levels of school readiness and poorer decision making. 'Certainly the fast and quick transitions that we see on screens, the bright flashing lights and the impact that this has on the developing brain is something we need to be mindful of," he said yesterday in Canberra. With one in five Australian children living with an undetected vision problem, Optometry Australia urges parents to take their kids for a comprehensive eye examination with their local optometrist before starting school. Good vision is important for a child's educational, physical and social development and to help them reach their full learning potential. "If parents have any concerns about their children's screen time and its effect on their vision, they should speak with an optometrist," said Mr Arundel. 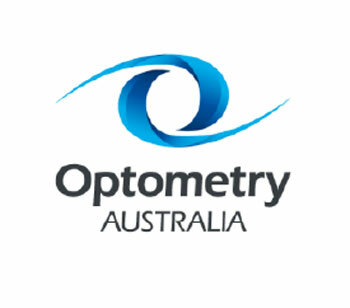 Find an optometrist in your area at goodvisionforlife.com.au.